This might just be the PERFECT little black dress. Recently, LOFT ran a 60% off their Sale, Sale. Most people think I spend oodles of money on clothes. I’ll admit – I do spend some – and possibly more than most. However, its hard to beat 60% off of an already reduced price. I bought several items from this sale and this one is my favorite. When I ordered it, I thought “oh great…like you need yet another black dress”. This dress IS different though. It really can be dressed up or down very easily and the faux leather really adds a cosmopolitan element. I can layer it over leggings and flats or wear it with heels and ruffles. The possibilities are endless. It has now gone into the “Go-To” area of my closet for days when I want to look great without a lot of effort. 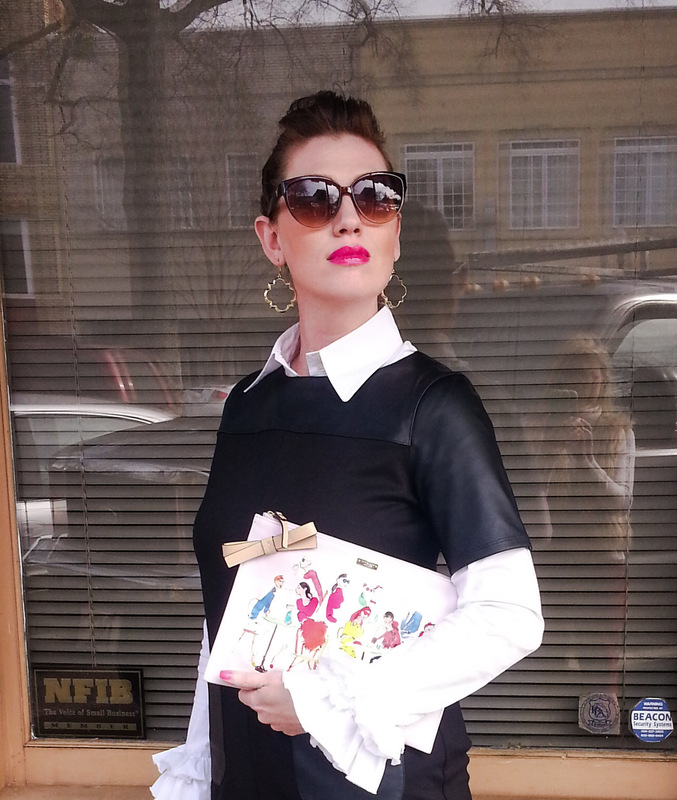 I can’t forget to mention, especially with Valentine’s Day approaching, this wonderful “Ohh La La” Bella clutch I’m holding by Kate Spade. This one is no longer for sale on the Kate Spade site although you can find it here on eBAY. I’m currently craving the Love Birds Wink Clutch by Kate Spade also. Its so extremely stinkin’ cute, I can hardly stand to not buy it right now! I hope you guys have an excellent weekend! Don’t forget to follow me at my other media sites also! Thank you so much, Girly! 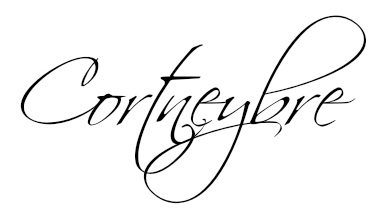 Xoxo… Cortneybre…. pink lipstick pop against your dress. gorgeous love. Great look and omg!! I LOVE that clutch!! LOVE LOVE LOVE! The dress is beautiful but I am even more in love with that top!